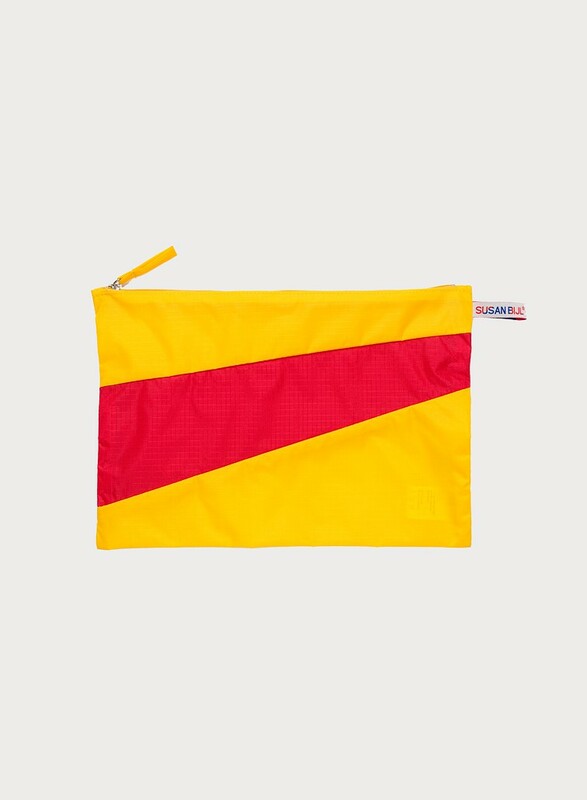 What makes these Pouches unique is the notable 'Nike-esque" diagonal strip in a contrasting color. You can choose from a variety of colors and combinations. 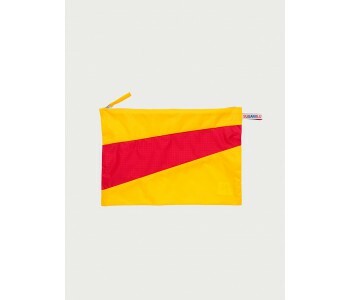 The RGB collection comes in trendy colors: this pouch is yellow with a red stripe. There are also other color combinations with bright green, pink, yellow, red, and blue. If you rather want a bag in a classic color, you can look at the 'Forever' collection.